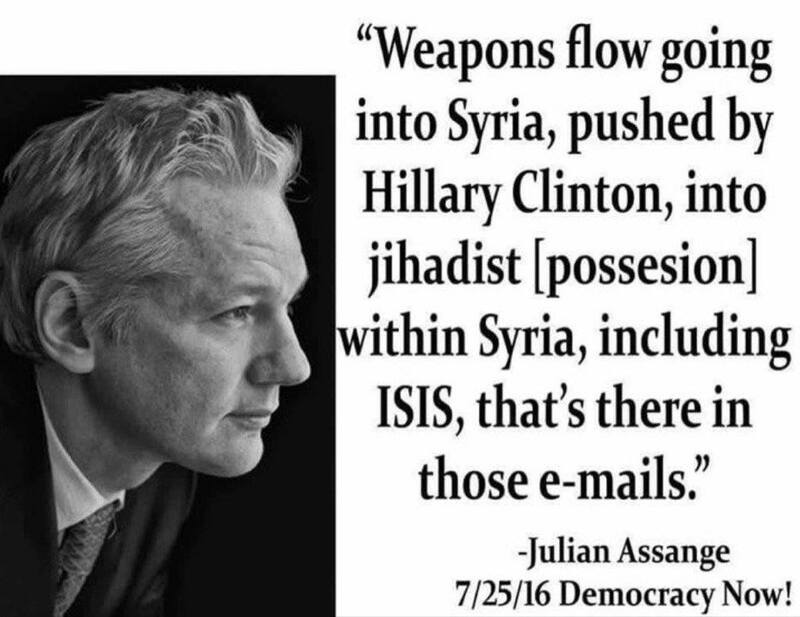 In late July 2016 Julian Assange told Democracy Now that the Wikileaks DNC emails contains information on the weapons shipments to Syria. enator Rand Paul later said Hillary could get five years in prison for lying to Congress about US arming Syrian rebels. Rand Paul made the comments during an interview on FOX news. On Monday Judicial Watch founder Tom Fitton spoke about smoking gun documents discovered by Judicial Watch that show Obama and Clinton were aware arms going to Syria through Benghazi and were warned about rise of ISIS. Clinton lied about this under oath which is another crime. Fitton believes this may be why General Flynn was so desperately targeted by the Obama Deep State. These deep state hacks are criminals.